Almost eight years ago, Esther and I took a trip to China. She was in first grade. We traveled with our good friend, Susan. We were on a journey to visit our dear family friend, Jamie, as well as some former students from Kansas, Ambre, Michael, and Brandon. This Saturday we have the privilege of traveling together to China again. I have been thinking about our coming trip non-stop. One of the goals I have for this trip is to continue to be discerning and very open with Esther about her thoughts about being adopted. Chad and I were blessed with Esther coming into our lives when she was 18 months old. We've been very, very open with her about our living in China for two years, talking with her about her birth mom, what it means to be adopted, and how God views adoption. Through the years she has had many questions, but continually has a very level-headed perspective through her thought process and emotions. That's really just the kind of kid she is. Level-headed in every way. Experiencing this trip with Esther is a precious gift and I plan on treasuring every second of it. Here are a few pictures from our first trip together. I will definitely share some photos when we return! 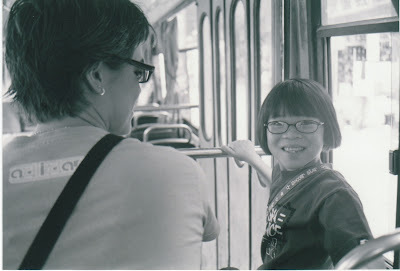 She loved the buses, especially when they were empty and she could just enjoy the ride without being poked or grabbed. When we were on crowded buses, someone would usually put her in their lap to keep her safe. It's a great concept, but a little creepy for an American kid. Jamie and Esther have had a special connection from the first day they met. Jamie called her Esther Rosalina. Esther called Jamie "my Jamie." 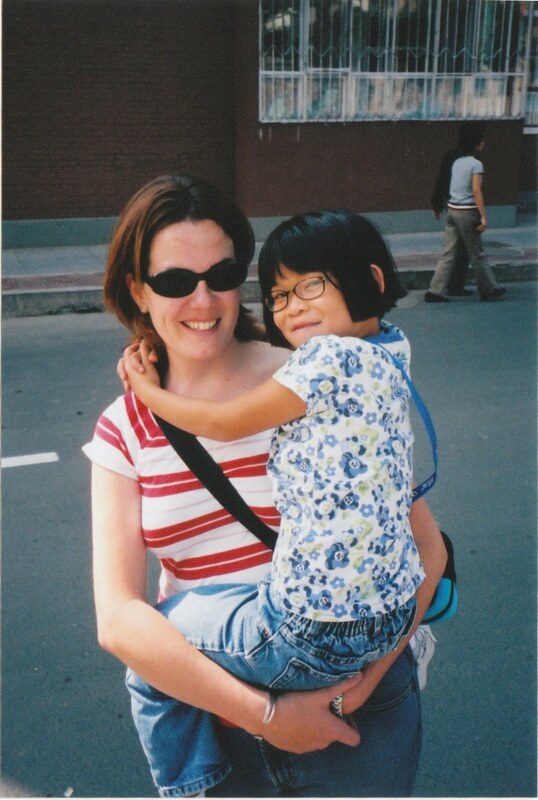 Because of jet lag and culture stress, Esther was pretty tired and often wanted to be carried. Jamie usually obliged her. She would just bury her head in Jamie's shoulder and enjoy some reprieve from the cultural chaos she was enduring. I don't think Jamie will be able to carry Esther around this time, but maybe she can ride on the back of Jamie's bike! 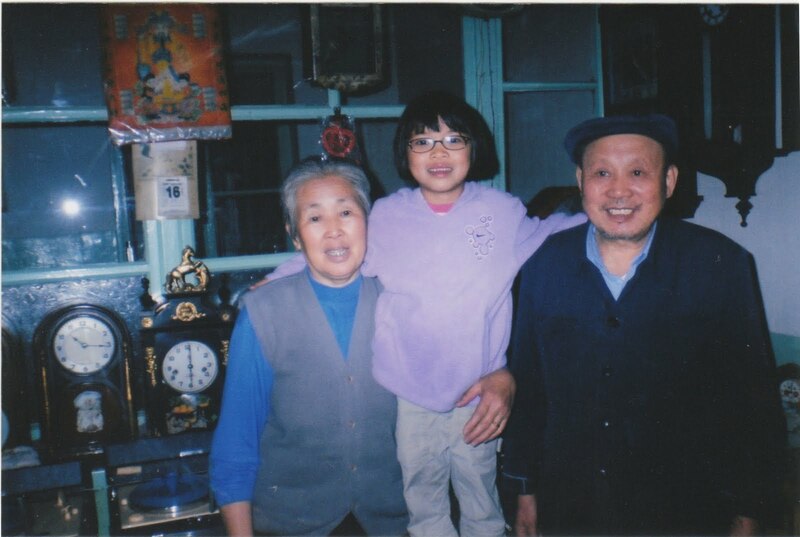 These were some of Jamie's local friends that owned a clock store. Esther was remarkably receptive to the older people that wanted to talk to her and hold her hand. I really love this photo! Let me just tell you that Esther could put the food away! Some things never change! Isn't her cute little haircut so adorable? There is no way I can really explain the significance of this picture. 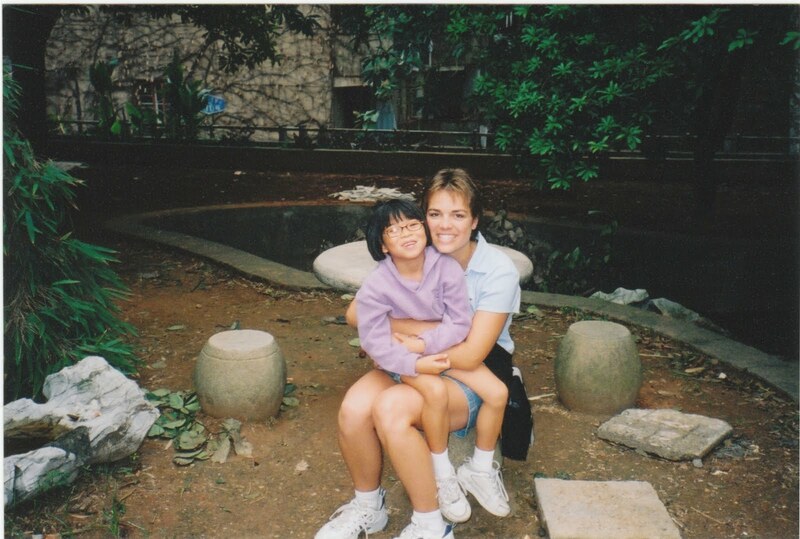 Esther and I are sitting in the garden where Chad and I first prayed that God would allow us to adopt a Chinese little girl. We prayed for her the summer before she was born. Esther and I sat in the garden and talked through the answer to prayer that she is in the actual place we prayed for her. It was overwhelming. I still get a lump in my throat when I look at this picture and take in the memory! This is my sweet girl seven years later. She is so beautiful and I don't just mean her looks. This young lady continues to learn what it means to be clothed with strength and dignity. 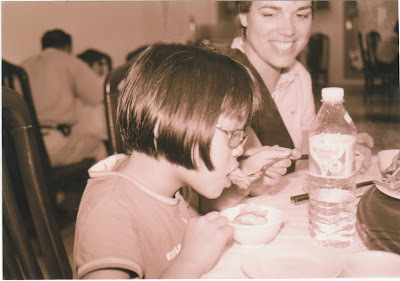 I pray our coming journey continues to bring her clarity in who she is in Christ, who she is as a Haynes family member, who she is as a Chinese-American young women, and who she is as a friend to people who love her deeply. I pray God teaches us both great and unsearchable things that we do not know! Thanks for praying for/with us! 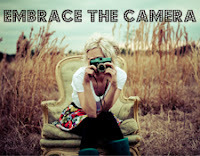 Embracing the camera because it's a great idea! Linking up with Emily. This is so beautiful. My favorite Angel blog for sure. Tears came to my eyes by the first picture, and continued while reading the story of that first trip. Your relationship with Esther is so precious. I love how you love her. I am beyond excited for your second trip together. Can't wait to see pics!! So beautiful....both of you! Yep, the garden picture of you two brought a lump in my throat too!! I agree that have been blessed beyond measure to be allowed to have Esther 'Rosalita' Haynes (as grandpa says) in our family! We will be praying for you both....have a wonderful adventure with God! I LOVE your blog and am so excited for this journey! Can't wait to hear all about it. And by the way I so enjoy seeing these old pictures and hearing the stories, pretty sure I could sit with you all day and look at pics and listen to you!! love you guys!!! Stopping by from Embrace the Camera. Loved your post and it brought tears to my eyes as well. I hope you have an awesome trip. Safe travels. Praying for you both as you go on your adventure! Thank you for sharing, what an amazing God story Esther is! Love Esther and love your family. I'm praying that you guys will have such a sweet time and she will be able to process any emotions she has with you clearly. I'm so excited for you two! Have a great time!